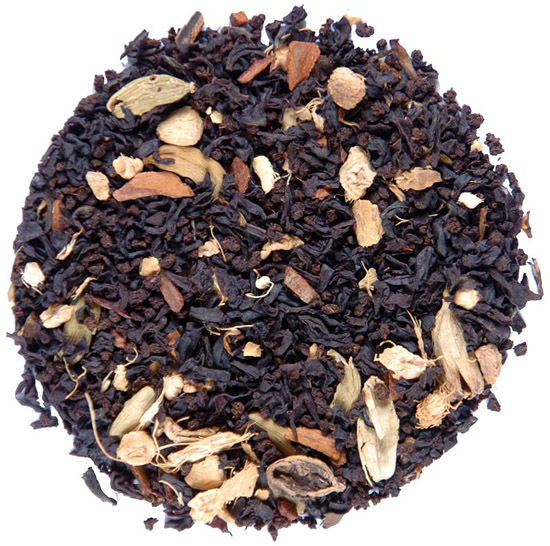 Chai is the name for a spiced Indian tea that is generally served milky and sweet. I particularly like chai in the winter, as it is hearty and warming, but I find it quite satisfying as iced chai tea in the summer as well. As with most food, there is no rule with chai, it is all about personal preference. Find the flavors you like. Experiment with them. Add more, add less of others. In India, chai, like curry, is no one mix. Different regions use different flavors, and even one particular family may make their curry or chai in a completely different manner than the family next door. Basically, find the flavors you like and play with them until you find your preferred taste. What I do is simple, I take a black tea that I like (it can be a malty Assam, or a lighter Ceylon, or any thing in between. Using a tea bag from the store will work well too since a lot of flavor comes from the spices that steep with the tea, so heck, go ahead and use that bag that came with your Chinese food last night. Steep the mix in hot water for about 3 minutes. Add milk and sugar to your taste, it’s really that simple. I find the best way to make chai is with an infuser basket. Place your selected ingredients in the basket in your cup, and remove when done. You could always toss all the items in a pot and pour the tea through a strainer, whatever is easiest for you.